Your diet can impact your risk of cavities, enamel health, and gum condition. Healthy foods provide an environment that can prevent inflammation and infection. 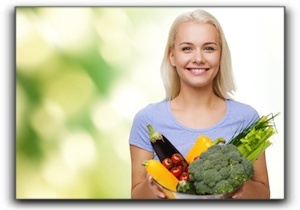 Vegetables, fruits, legumes, and nuts are the optimal choices for oral health. Calcium-fortified beverages, milk, and other dairy products provide vitamins, minerals, and calcium that aids in keeping teeth, bones, and gums healthy. Eating crispy fruits and vegetables, such as apples and celery, will help clean your teeth and gums. Do You Get Enough Fluoride? A healthy diet contains all the essential vitamins and minerals, and the most important mineral for teeth is fluoride – especially for little ones. Between the ages of 6 months and 16 years old, both the primary and the permanent teeth come in, therefore adequate fluoride is critical. Don’t forget, however, that too much fluoride is dangerous. Doctor Moore practices family dentistry in Bloomington and can guide you on the precise dosage of fluoride for your child, taking into account whether your municipal water is fluoridated. Even though adults’ teeth have already formed, fluoride helps with remineralizing weakened enamel to a degree. This dynamic mineral is applied to teeth during thorough dental cleanings at Create A Smile, PC – Dr. Ken Moore. At our practice, helping dental patients stay healthy is important to us, and so is helping them achieve the smile they want through cosmetic dentistry procedures such as veneers, teeth whitening, and sedation dentistry. Create A Smile, PC – Dr. Ken Moore in Bloomington has been serving the Bloomington area since 2001. Please contact us at 812-332-1405 if you are looking for trusted family dentistry in Bloomington with the experience, expertise, and personalized attention you deserve.